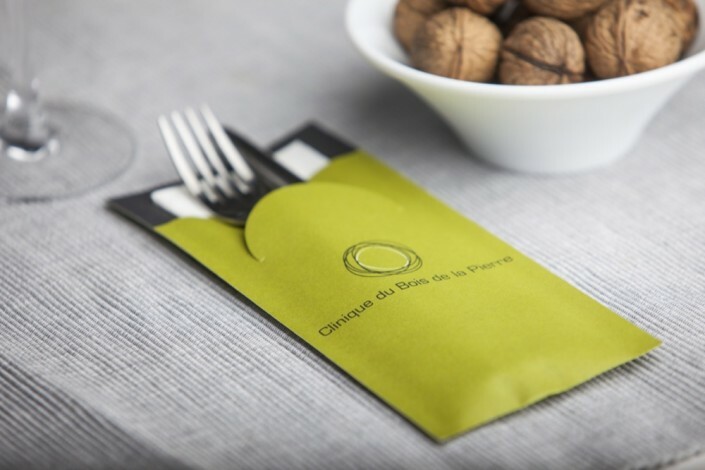 WHY PERSONALISED CUTLERY POUCHES BY EUROPOCHETTE®? Retain your unique visual identity with a personalised tabletop decoration from our range of products. 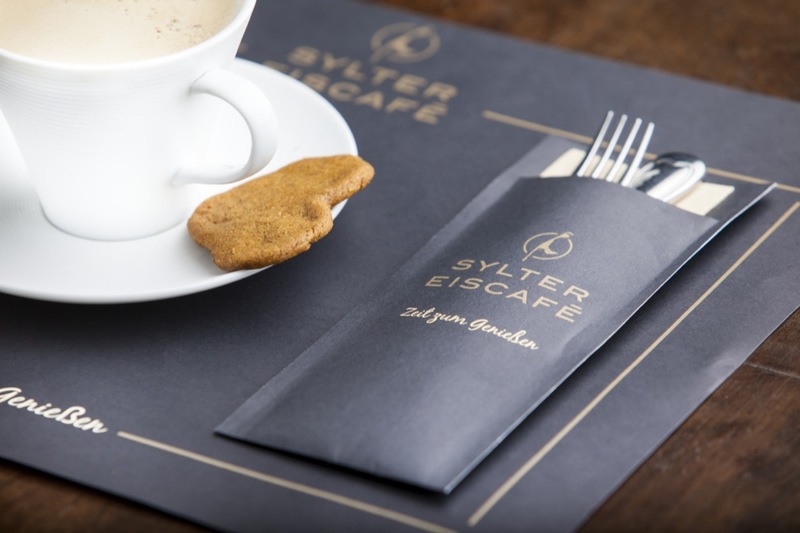 You can personalise cutlery pouches, placemats, tray mats, bill pouches, keycards, napkins and specials with your logo and your colours. Would you like help in creating your own personal design? We will gladly assist you with professional style and layout advice. Do you already know exactly how you want your cutlery pouch or placemat to look? Send us your design and we will do the rest. 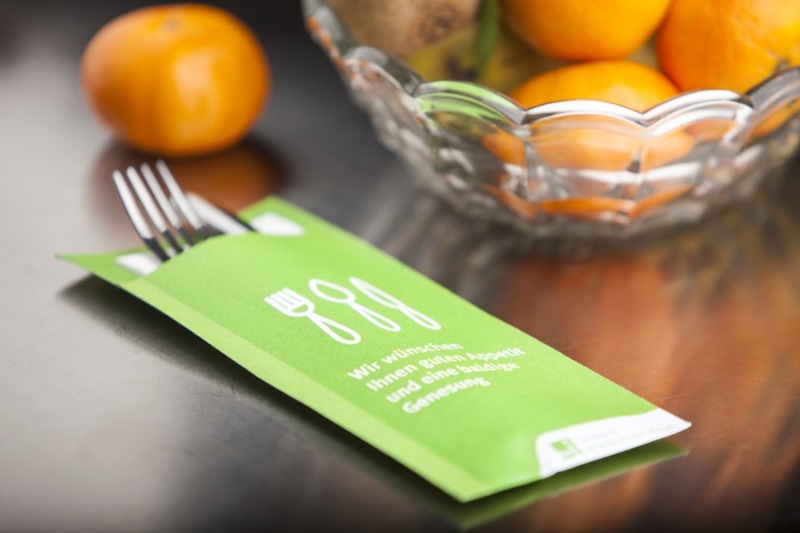 You can also add a personal touch to your cutlery pouches by changing the quality of your napkin. 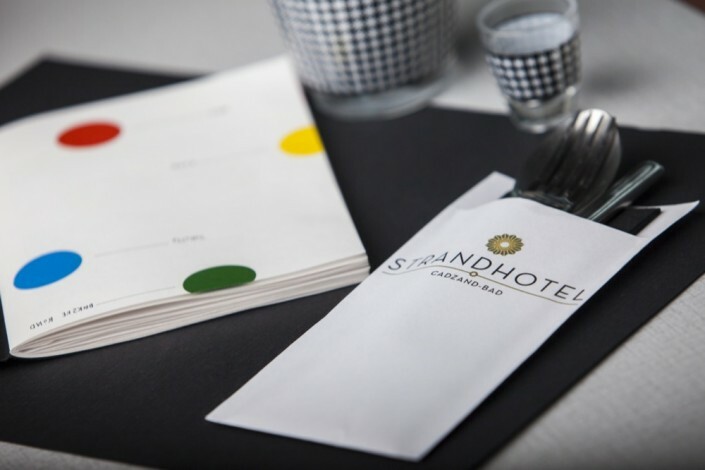 We offer three qualities of napkins in different colours and sizes. 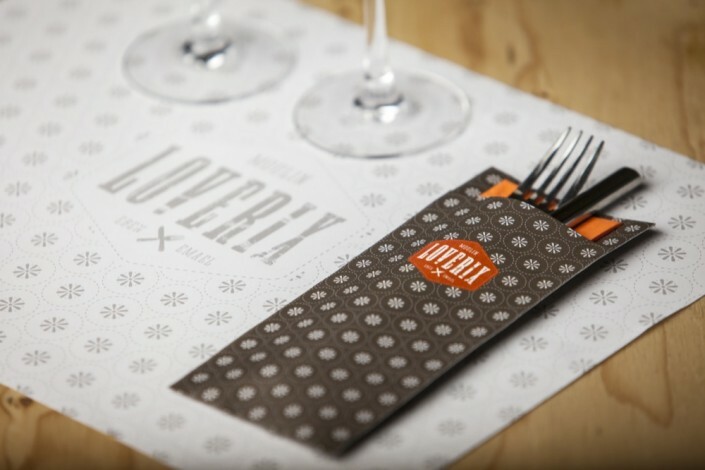 Our range includes the classic tissue napkin, a smooth double point napkin and the high-end choice, airlaid. Do you prefer a custom format for your three-piece cutlery, chopsticks or dessert spoon? Or would you like to add a voluminous quality napkin? Then of course it is important that the size of your cutlery pouch is perfectly adjusted to fit your choice. 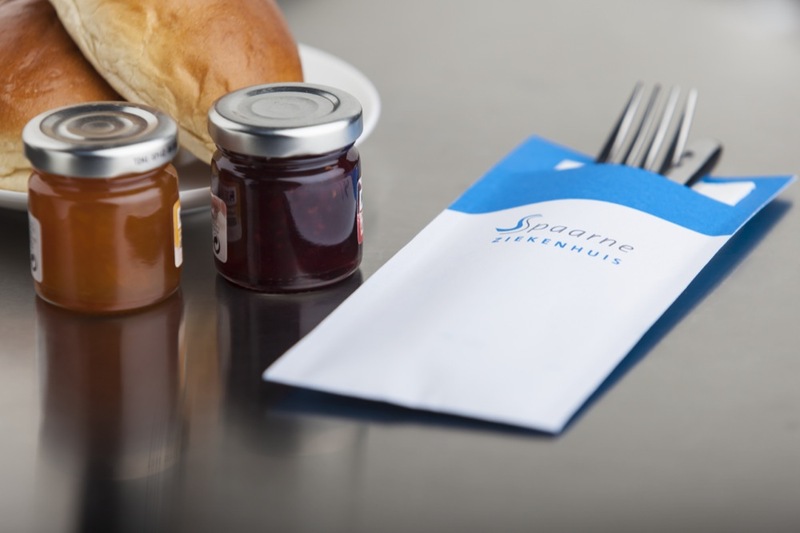 Our cutlery pouches are available in various sizes and combinations. To each of the available sizes, an extra option such as a toothpick, tear-off strip or flowpack can be added. 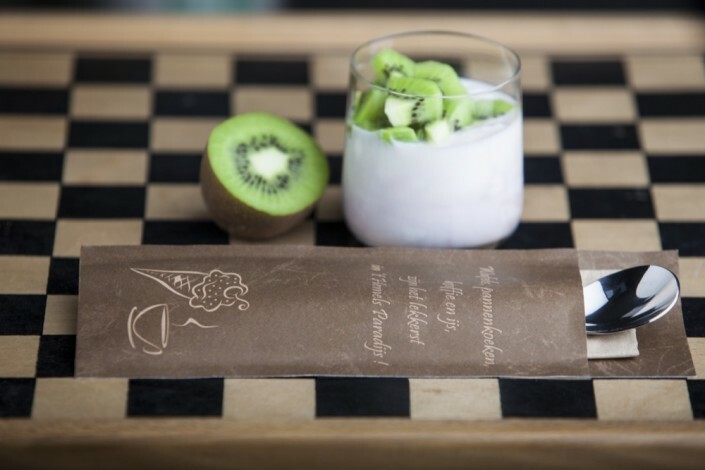 Explore the different marketing possibilities and from our assortment of varied products create an overall stylish solution to tastefully decorate your table setting. Combine your personalised cutlery pouch with a placemat, napkin or a matching tablerunner from our product range. We are happy to walk you through the various possibilities.